Naruto Shippuden 436 drags on to continue with the stupid filler episode with Tsunade’s never-ending Tsukuyomi story just keeps on going on and on. We discover a little about the past in which the Hyuga’s were involved. The Leaf was on a life edge thus Neji’s father had to take lead to fix what had to be fixed. Naruto Shippuden 436 boasts another boring episode (well I thought it was a little boring), I feel like they should just end the series unfinished because I’ve somewhat lost interest in it now. 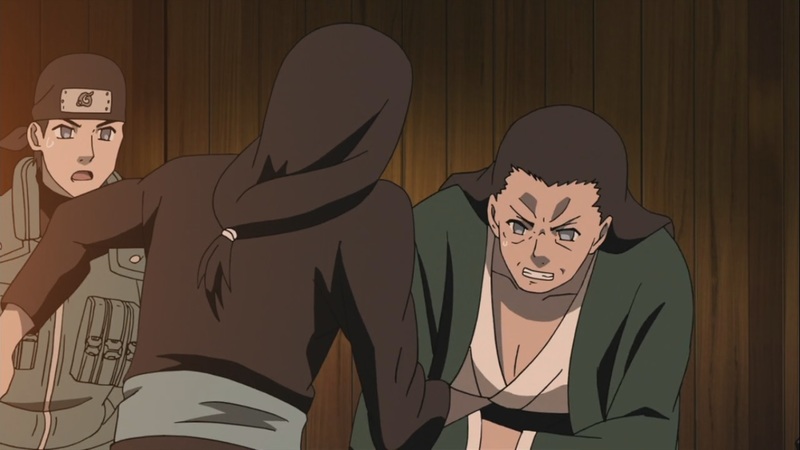 Shikamaru saves on the kids by using his Shadow technique, however another beast appears forcing Ino to use her technique just as the kid is eaten. The kid begins to mess with the beasts body when Yahiko slices up the beast allowing for the kid to step out. The kid is saved. 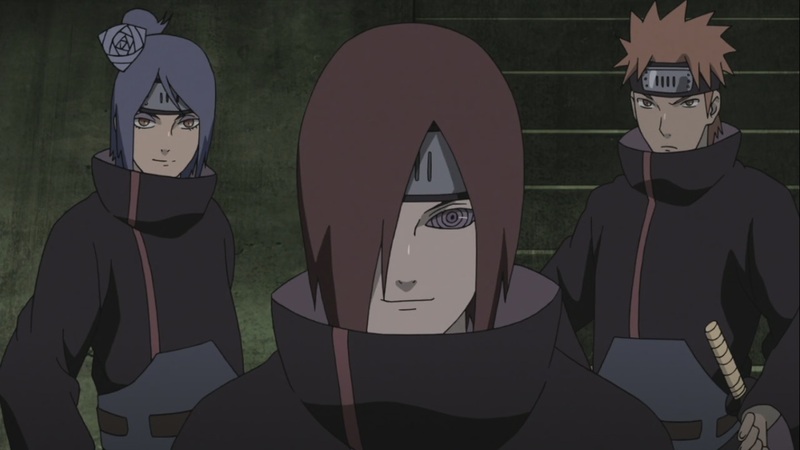 Choji appears, chased by the beast when Nagato uses his technique. 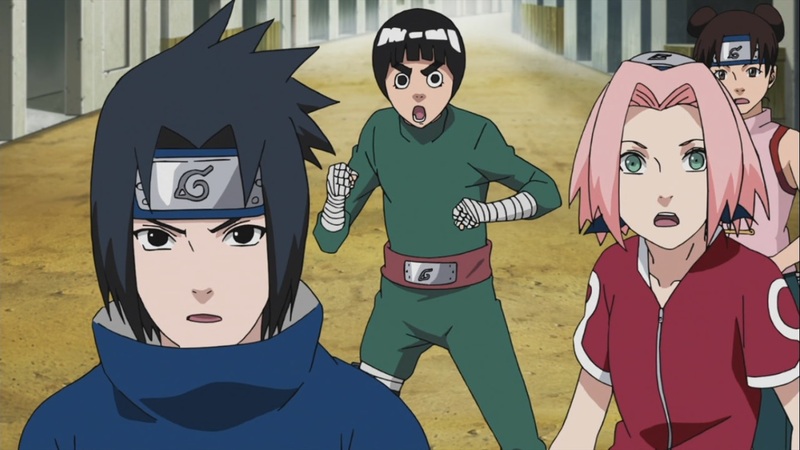 They save the kids, later on Team Jiraiya asks for them to join their team in order to figure out whats going on. 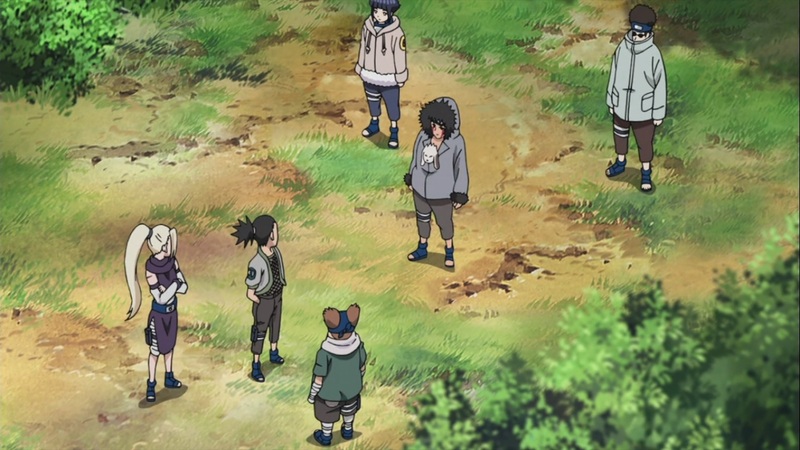 Shikamaru tries to dig for more information out of them, it seems as they’re about to fight, Hinata and others appear, by then Yahiko and others have already gone. 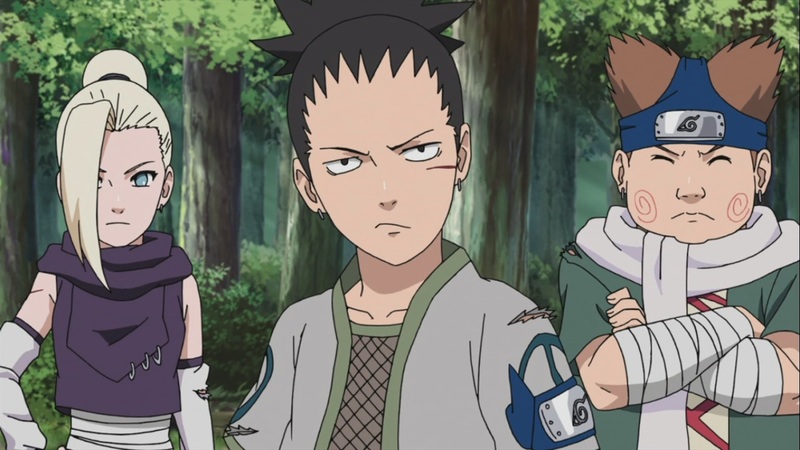 It seems that they’ve chosen for Shikamaru to be the captain, all while they decide to go after the other teams to get a better plan. Rock Lee speaks of getting Guy and Neji back, seeing him call them his Nakama, when Sakura realises this. It seems that they don’t really care about Naruto at this point. The others who are chasing them decide to go after them. Neji and Naruto walk through a door where they see a mirage of the past and what had happened between the Leaf and Hyuga clan. They talk about someone being used to in order to die for the sake of the main family. He has done so not for his family but for his own brother. And a way to prevent an all out war, it’s something that has hit Neji pretty hard. Neji learns about the past and how it came to be, the mysterious character tries to twist it. 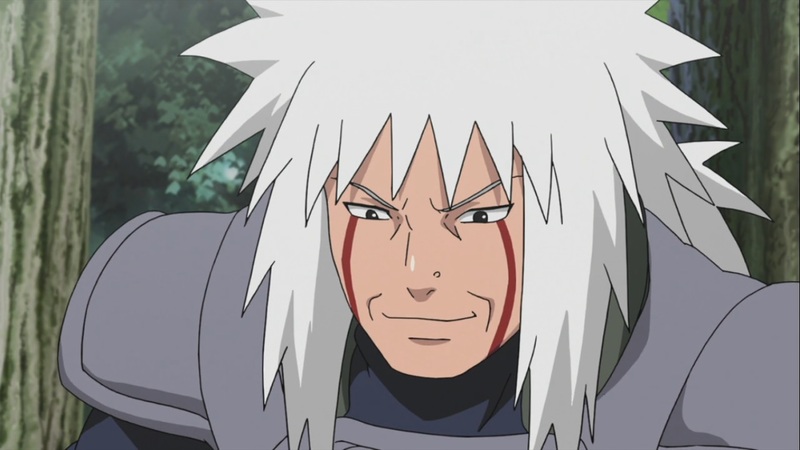 Elsewhere, Jiraiya finds one of Orochimaru’s caves. Naruto Shippuden 436 ends here. 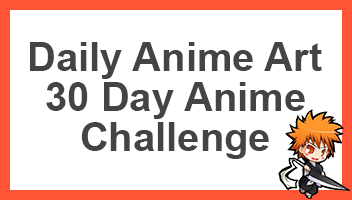 Honestly, please just end the horror, these episodes are just absolutely terrible and the arc itself has already ruined the final battle and arc. I don’t think I can go back to watching the fight without thinking about this terrible arc, so damn stupid! Anyways, as always more has be written, so next week’s Naruto Shippuden 437 episode will be titled “The Sealed Power”, more filler. That’s terrible. My brother said they released like 40 or so episodes on this arc, and only 8 are NOT fillers. I starting to hate the anime, literally, I feel like dropping it. Although as it’s just about to end, I think ill carry on and just hold on a little longer. Lol I couldn’t watch the fillers at the beginning. I skipped them all. I’m just waiting for the canon to show up again. These filler aren’t even entertaining. I’m actually watching the Zanpakuto Rebellion arc again sense Kubo foreshadowed stuff to the manga. Why are they even airing fillers when the manga ended 1 year ago. That doesn’t even make sense. They might as well finish the story. Just wait & see but don’t hate .